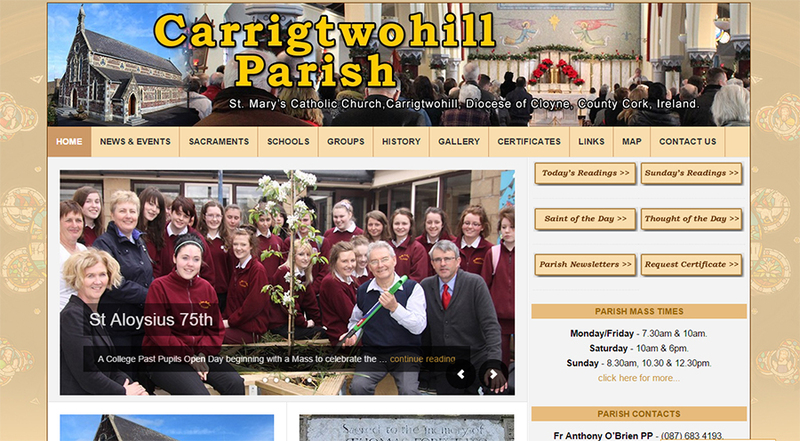 We are delighted to launch the new website for Carrigtwohill Parish. We developed a new WordPress website to replace their existing one. It contains parish news, galleries, weekly newsletter and lots of information the Carrigtwohill parish.